Large or small, if you're operating a business in Chicago, you'll most often need to acquire a City of Chicago business license. 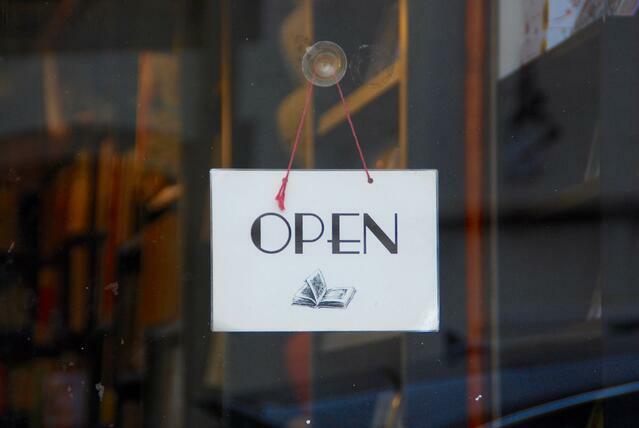 The City offers numerous resources for those applying for business licensing through their Small Business Center (SBC) in the Department of Business Affairs and Consumer Protection (BACP), where individuals may apply for new licenses, renew an existing license, or meet in-person with a Business Consultant during the application process. The SBC "issues business licenses and regulates the business activities of industries as diverse as retail, food and liquor establishments, entertainment venues and theaters, day care centers, manufacturing facilities and motor vehicle repair shops", and is the central hub for most licensing in Chicago. There are multiple tiers of business licenses, including Limited Business Licenses (LBL) that apply to all Chicago businesses not specifically exempt, Retail Food Licenses (RFL), Manufacturing Establishment Licenses (1009), and others as determined by the BACP. The majority of businesses must have a Chicago business license to operate within the city, however for some professions, if one is licensed by the State of Illinois Department of Financial & Professional Regulation (IDFPR), that person or associated business entity is not required to acquire a separate business license through the City of Chicago. Notable exception: If someone is operating a hair salon in Chicago and is licensed through the IDFPR, and they sell hair product as part of their business, that person must acquire a City business license as they are selling a product in Chicago. A full list of licensed professions is available via the IDFPR. What are the steps to obtain a business license? Prior to applying with the City of Chicago, applicants must determine their legal entity (either a Sole Proprietor or General Partnership) and file for a DBA/Assumed Name Certificate with the Cook County Clerk's Office. If one will be doing business as a legal business entity - regardless of whether or not the company is Illinois-based - it is also required to file with the Illinois Secretary of State. Businesses must also obtain an Employer Identification Number (EIN) and an Illinois Department of Revenue (IDOR) Account ID Number prior to applying for a City of Chicago business license of any type. What's the cost of a limited business license? In 2018, the Mayor and Chicago City Council passed an ordinance that decreased the Limited Business License fee from $250.00 to $125.00 for new licenses. The change in fee structure is expected to sunset on June 30, 2019, and all new qualifying licenses will be issued at the reduced rate. Other licenses have additional fees, up to $6,600 for a caterer's license with establishment located outside of the City of Chicago. Most business licenses are valid for two years, and may require zoning review, site inspections, and a criminal background check. While only certain licenses can be applied for online, all renewals can be completed using the City's portal. What are the penalties for running an unlicensed business in Chicago? Penalties for not maintaining a Chicago business license can include a fine or a closure order issued to the business owner. Further, per Chapter 4 of the Municipal Code, unlicensed businesses are the liability of the property owner and fines will escalate with each subsequent violation. Both the business owner and the property owner are liable for unlicensed business practices, making it imperative that property owners ensure their tenants are licensed with the City. How many business licenses are in the City of Chicago? The recent fee adjustments are designed to make limited business licenses more accessible, allowing more individuals and entities to operated businesses within the city. The City of Chicago Pop Up Initiative - the first of its kind - went into effect December, 2018, creating a new category of business licenses for pop-up users and pop-up hosts. These licenses grant holders the ability to either "pop up" their business in various locations throughout Chicago for the duration of the license, or for hosts to allow pop-up businesses as tenants in their spaces. We'll be covering the details of the Pop Up Initiative and how to acquire these licenses in an upcoming post. Should you require help with licensing your business in the City of Chicago, we're experienced with discrete permits throughout the city - please don't hesitate to contact us.